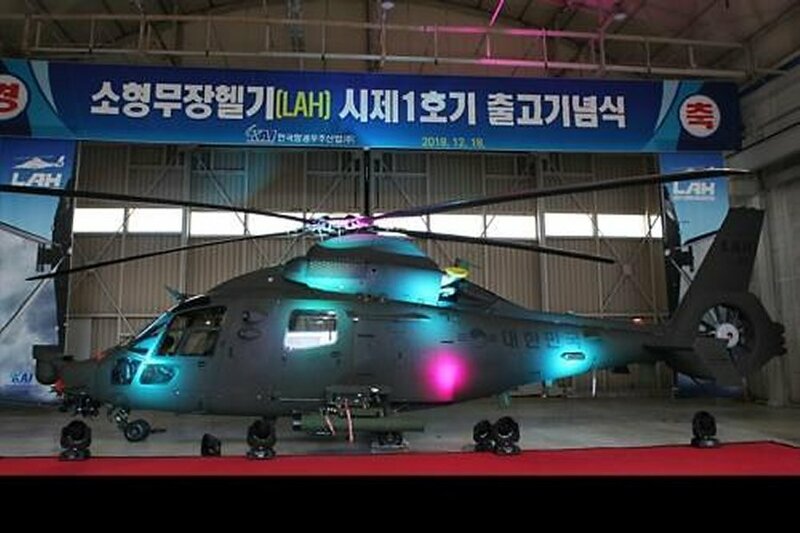 On 18 December 2018, the prototype of South Korea's home-made light attack helicopter was unveiled by Korea Aerospace Industries (KAI) after years of development based on European technology. It will replace the current fleet of MD500s and 70 AH-1S Cobras….."
Looks like an Aerospatiale Dauphin. Agree with 28mm Fanatik, looks like a Dolphin. Admittedly, the MD500 and AH1S are … not exactly new, but the twin-engine EC365 was designed in the 1970s. Looks like this is the enlarged-fuselage EC155 variant, which is still a pre-2000 design!